Round a bend to find Mt. Bachelor looming larger than life—and find its image perfectly reflected in a mile-high lake around another bend—and you’ll understand why Scenic America named the Cascade Lakes Scenic Byway one of the nation’s most important byways. 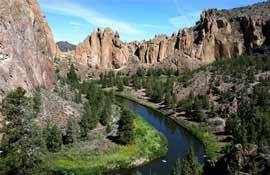 The Byway passes through the heart of central Oregon, with the towering Cascade Mountains providing a constant backdrop for a recreational paradise that offers first class fishing, boating, hiking, rock climbing opportunities and wonderful alpine and Nordic skiing in the winter. The mountains provide practical as well as scenic pleasures; they block moist air from the Pacific, giving this region as many as 250 sunny days a year! The Cove Palisades State Park is a recreational destination for the entire family. Located in our high desert region, the weather is sunny and warm in the summer months and chilly but generally mild in the winter. 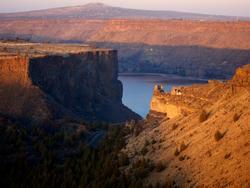 The park is situated among towering cliffs that surround beautiful Lake Billy Chinook. The park features myriad water recreational opportunities, a full-service campground, store, restaurant, marina and rental services. Not interested in camping? Deluxe lakeshore log cabins are available. Nature lovers will find nearly 10 miles of hiking trails that give access to areas rich in wildlife and splendid scenery. The park is home to the popular Eagle Watch event. Like No Place Else on Earth, Crater Lake has inspired people for hundreds of years. No place else on earth combines a deep, pure lake, so blue in color; sheer surrounding cliffs, almost two thousand feet high; two picturesque islands; and a violent volcanic past. It is a place of immeasurable beauty, and an outstanding outdoor laboratory and classroom. Crater Lake is located in Southern Oregon on the crest of the Cascade Mountain range, 100 miles (160 km) east of the Pacific Ocean. 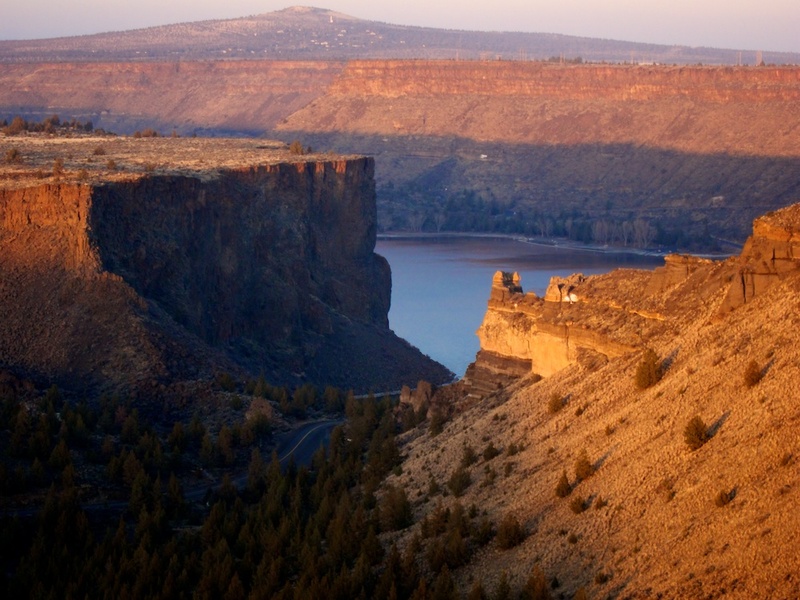 It lies inside a caldera, or volcanic basin, created when the 12,000 foot (3,660 meter) high Mount Mazama collapsed 7,700 years ago following a large eruption. Generous amounts of winter snow, averaging 533 inches (1,354 cm) per year, supply the lake with water. There are no inlets or outlets to the lake. Crater Lake, at 1,943 feet (592 meters) deep, is the seventh deepest lake in the world and the deepest in the United States. Evaporation and seepage prevent the lake from becoming any deeper. 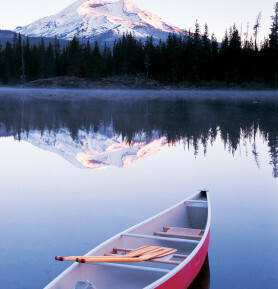 You'll experience Oregon at its finest on your 3 hour tour with Crater Lake ZipLine. 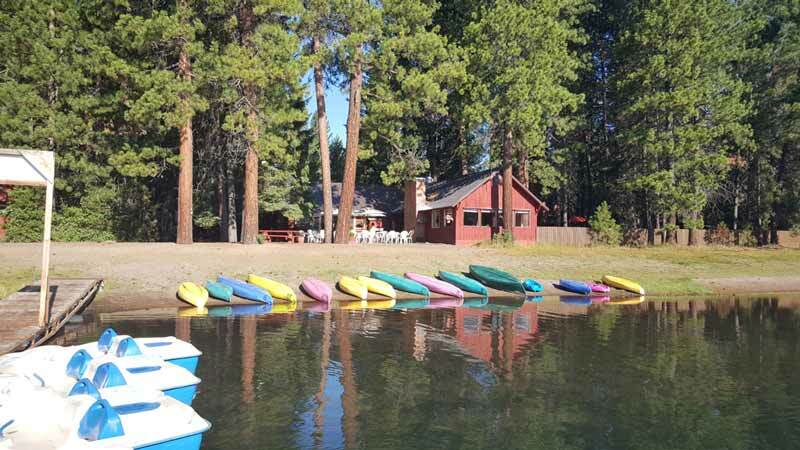 With magnificent views of Upper Klamath Lake, Cascade Mountain peaks and surrounding National Forest, you’ll be thrilled by the beauty and the adventure. We are the only tree-based canopy tour on U.S. Forest Service Land. Our 1.5 mile course is made up of 9 ziplines, 2 sky bridges, 1 deus descent and 1 quick jump descent. We boast the longest zipline in Oregon with over 8000 feet of cable! Two of our zips are a quarter mile long each! 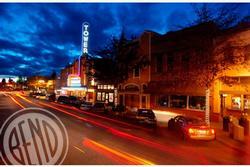 Downtown Bend is the most visited spot in Bend, Oregon. You'll find plenty of restaurants, art galleries, breweries, shops and boutiques, coffee houses, bars and nightlife to keep you busy during your stay. There are so many great places to grab a libation of any kind here in Downtown Bend. Grab a quick beer, or stay for a 3 course meal! We proudly support independent shops! Come find special treasures at the antique shops, or make those everyday purchases! Downtown is host to an array of ndependent arts & culture businesses. Visit art galleries, or catch a movie at the theaters. Bring the kids downtown for exciting activities, or rent a bike to explore downtown on two wheels! 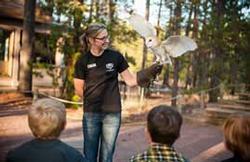 Whether you're three or 93, there's something for everyone at the High Desert Museum. 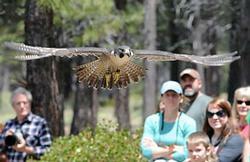 See birds of prey, the porcupine exhibit, a bobcat and more. Check out our collection of desert dwellers in the Desertarium. Visit with living history characters at the 1904 Miller Family Ranch. Explore High Desert history and culture in our permanent exhibits. The Museum is set on 135 beautiful wooded acres just south of Bend. 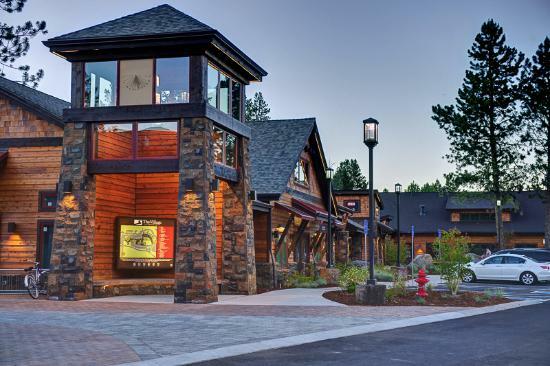 It's no wonder the Museum is ranked the #1 thing to do in Bend by TripAdvisor. We have a lot going on at the Museum this winter including new exhibits, the popularNatural History Pub Series, lectures, kids camps, special events and more. 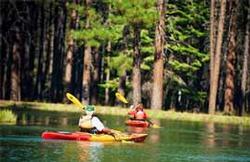 From Sunriver, begin your journey by heading North on Highway 97 towards Bend. 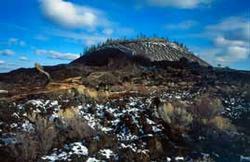 As you approach Lava Butte, curiosity will make you stop at the Lava Lands Visitor Center. Inside are informed Deschutes National Forest representatives and wonderful displays to tell you about the geologic history of Central Oregon. 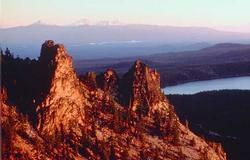 Drive or hike to the top of Lava Butte for a world class view of the Cascade Mountain Range and the nearby lava flows. Heading back out on Highway 97, drive North about a half-mile for a trek through the Lava River Cave. 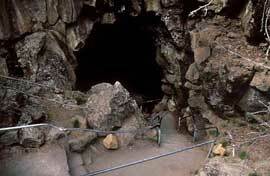 The cave is the largest uncollapsed lava tube n Oregon. It is closed from mid-October to mid-April due to the hibernation of resident bats. Walking to the end of the cave you will travel about a mile through 100-foot high ceilings as well as places accessible only by crawling. Explore a mile-long lava tube. Lava River Cave offers self-guided exploration of a mile-long lava tube. It takes approximately 1.5 hours to tour the entire cave. Initial access descends 55 stairs to a combination of flat boardwalk, uneven surfaces and stairways. In the interest of preventing the spread of White-nose Syndrome to bats that reside in the Cave, we ask that you not wear or bring into the cave any clothing or gear you have used in a cave or mine outside of Oregon or Washington. Please wear close-toed shoes and warm clothing. Average temperature in the Cave is 42 degrees Farenheit. Learn more about Lava River Cave by downloading this borchure. Les Schwab Amphitheater is nestled between the gorgeous Deschutes River and the majestic Cascade mountains. 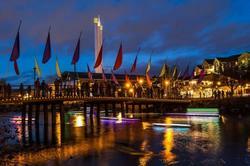 This riverside venue accommodates 8,000 patrons for big name concerts and other community events. All summer long the Amphitheater presents some of the best names in entertainment from May through September. 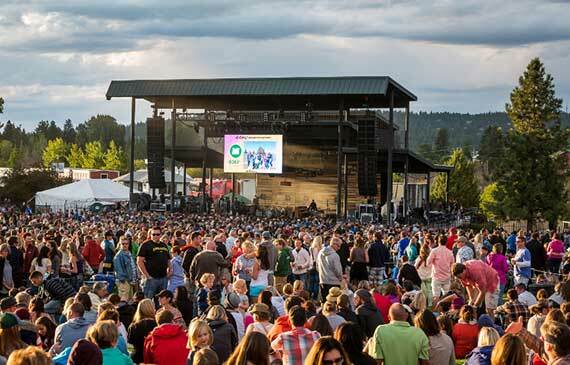 Enjoy free concerts by local and national performers in our Bend Memorial Clinic Free Summer Sunday Concert Series, and the second largest brewfest in the northwest annually on the third week in August. We are part of the Old Mill District, which incorporates over 55 local and national retailers for shopping, dining, entertainment and outdoor recreation. For live music and performances, please check out Les Schwab Amphitheater Events & Tickets and Free Summer Sunday Concerts. The Les Schwab Amphitheater is home to two annual Brewfest celebrations, the Fermentation Celebration and the Bend Brewfest. The Fermentation The Fermentation Celebration is a beer walk in the Old Mill District featuring all of Central Oregon’s craft breweries. The events feature performances from fabulous local bands, as well as dance troops. The Bend Brewfest is Four Full Days days of craft beer bliss featuring over 170 craft beer creations from over 60 craft breweries, plus cider and wine, on the banks of the Deschutes River, in Bend, Oregon. This roadside route begins where glass-clear water surges from the dry ground at Metolius Spring, and continues north to Bridge 99. Special places along the way include the Camp Sherman Fish Viewing Platform, Metolius Research Natural Area, and Wizard Falls Fish Hatchery (phone 541-595-6611). A coalition of government agencies, private utilities, and conservation organizations are working to restore anadromous Chinook salmon and sockeye salmon to the river. At the Camp Sherman Fish Viewing Platform, look for bull trout, redband trout, kokanee salmon, brook trout, brown trout, rainbow trout, and mountain whitefish. At the Metolius Research Natural Area, it's possible to see white-headed woodpecker, northern goshawk, flammulated owl, and Vaux's swift. Visit the Metolius Fish Hatchery display ponds to observe and feed kokanee salmon, Atlantic salmon, and other fish. Anywhere along the river, you might glimpse Barrow's goldeneye, hooded merganser, common merganser, osprey, bald eagle, spotted sandpiper, ruffed grouse, and Hammond's flycatcher. Some butterflies you might see include species of admiral, swallowtail, hairstreak, arctic, copper, and tortoiseshell. Located between the Mountain Gateway building and the bottom of Red Chair, the Snowblast Tubing Park operates weekends, most Fridays and during holiday periods between Thanksgiving and Easter. Three two-hour Tubing sessions are offered each day the Tubing Park is open. The newest addition is the Downhill Bike Park where passionate mountain bikers can test their ability and push this limits during an adrenaline-pumping ride down.In addition to mountain biking you can enjoy hikes to the summit, try your hand at a challenging game of disco golf, unique summer sled dog ride or a romantic Sunset Dinner. 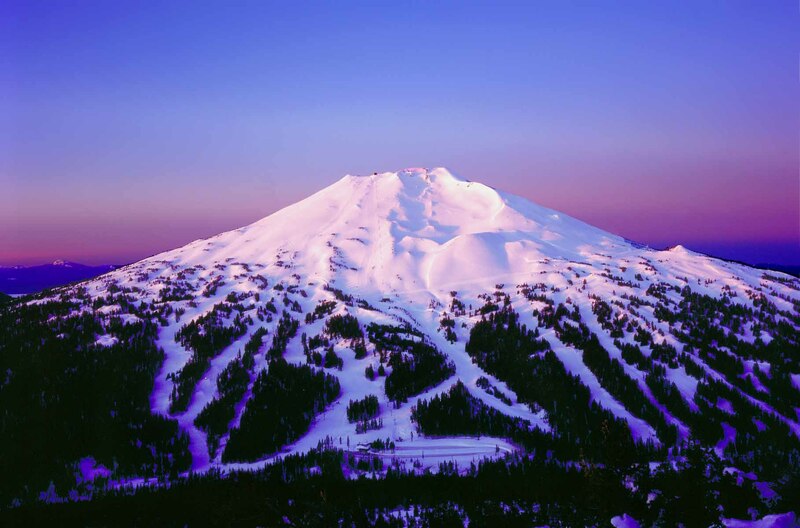 Looking for what to do in Bend, Oregon? The Old Mill District is much more than a shopping mall. We mix your love of shopping, dining, and the outdoors into one spectacular place. 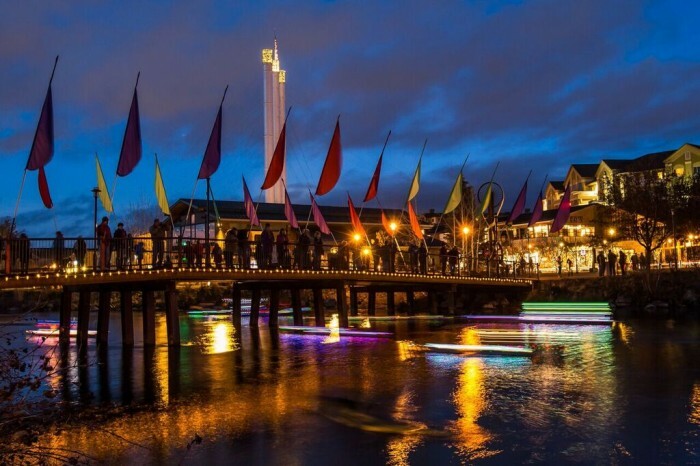 Riverside restaurants, trails, shops, and shows... Bend is here! We invite you to join us for a marvelous shopping, dining and entertainment experience; filled with diverse culinary options, the steeped history of the pine mills or the the latest blockbuster. Billions and billions of sights to see. When our roofs disappear we have the largest collection of telescopes for public viewing in the United States. Feast your eyes on faraway galaxies. Witness a meteor shower. Get a glimpse of globular clusters, nebulae and deep space binary stars, as well as our closest star, the Sun. There's no better place than the Oregon Observatory at Sunriver. Sunriver's elevation, pitch-dark surroundings, and crystal clear air make it perfect for stargazing. At the Oregon Observatory, you won't be lining up just for one quick peek. We have many of our telescopes set up for your enjoyment, from Tele Vue refractors to our 30-inch Newtonian. So if you really want to see the sights of Bend and Central Oregon, then we want to see you at the Oregon Observatory. Astronomy and rocketry conveniently located in Oregon's most popular destination resort, adjacent to the Sunriver Nature Center. The summit of Paulina Peak with an elevation of 7,984 feet, is the highest point on the Newberry Volcano. 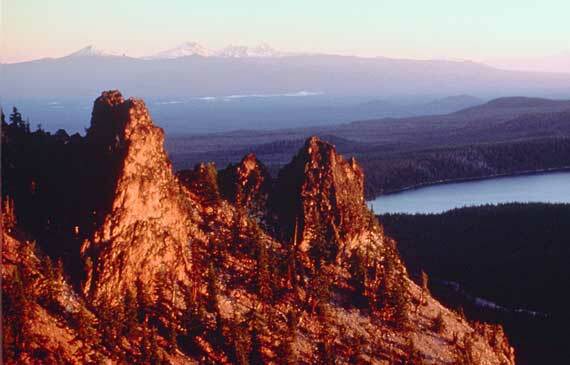 This site offers a grand overview of the Newberry Caldera, the south and west flanks of the Newberry Volcano, the Cascades, the Fort Rock Basin, and much of central Oregon. On a clear day, the Cascade Range is visible extending into California (Mt. 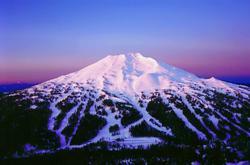 Shasta) and Washington (Mt. Adams). 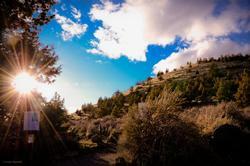 Come and explore an old cinder cone located just east of Bend. Hike up and around on one of three trails. The trails wind through stands of juniper and sage. All of the trails lead to the summit. Once at the top, get ready for a grand panoramic view of the high desert. To the west at sunset, the glow of snowcapped Cascade mountains put on a spectacular show. Three Sisters, Mt. Jefferson, Black Butte and Mt. Hood are some of the highlights. With more than 2.5 acres of grass, plus indoor/outdoor recreation pools, hot tub, water slides, lazy river and a tubing hill – you can splish, splash, slide and sunbathe to your heart's content! Aside from sunbathing and water play activities, SHARC's 22-acres of fun includes a tot pool and sand play area, cafe, picnic area, playground, basketball court, bocce ball court, tubing hill (seasonal), picnic pavilion and an outdoor amphitheater. More than 5,000 square feet of meeting/event space and the outdoor amphitheater are available to rent for your next business meeting, concert, family reunion or wedding/reception. The space is also available for social group and club gatherings, classes and more. Smith Rock State Park encompasses 651 acres on the Oregon high desert plateau which hovers around 3000 feet in elevation. 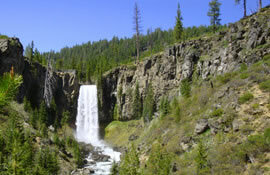 Hiking trails offer spectacular views of the surrounding area. You can spend 30 minutes walking along the river or a half day making a loop on the entire trail system that extends outside of the park. People climb year-round, but summer temperatures can reach 100+ degrees (f), and in the dead of winter the thermometer stays close to the freezing mark (32f) during the day. Spring and fall are the most popular climbing months. Located just a short distance North and East of Redmond. More water than you can shake a paddle at! Kayak, canoe, tube, paddleboard, raft or boat — whatever your preference for playing on the water you can do it on the Deschutes River flanking Sunriver's western border or at a nearby lake. Don't have your own watercraft? There are several area rental shops offering a variety of floatables, life vests and other necessary items. Big River, Harper Bridge (south side of river), Besson Day Use Area, Sunriver Marina (access fees required), Canoe Takeout, Benham Falls Day Use Area. The Canoe Takeout and Benham Falls Day Use Area are the LAST takeout points. Beyond this there is Benham Falls. All floaters must exit prior to the falls. The Sunriver Nature Center & Observatory is a private, not-for-profit scientific and educational organization in Sunriver, Oregon. Our services include interpretive exhibits, large scale public observatory, educational programs, botanical garden, and a nature trail. Our enthusiastic staff and volunteers provide a fun and thoughtful view of our natural environment. Fort Rock Park is on East Cascade Road between circles 4 and 11 and provides recreational facilities for softball, basketball, tennis, pickleball, volleyball and horseshoes. A large, grassy field serves for soccer, baseball, football and other activities. A pavilion is available for picnic and barbecue events (pavilion unavailable April 1-June 30 for replacement). 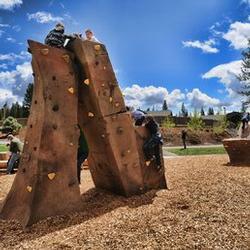 The park also features a variety of modern playground apparatus for youngsters. Reservations are required for group events. Rental rates based on group use. Additional tables/barbecues are located throughout the park. Some equipment may be rented from Tennis Hill next to the tennis courts. Tennis Hill is open Memorial Day weekend through Labor Day. Free WiFi is available during the summer season. Paulina Park is located at SHARC off Overlook Road and circle 2. The park is behind the amphitheater area. The park area features a playground, bocce ball court, rock climbing wall, restrooms, several picnic tables and a propane barbecue. A pavilion is available for rent for 4 hours maximum between the hours of 10 am and dusk. A reservation does not grant sole use of the park as it is a public park for all to enjoy. Rental rates dependent on weekend/weekday and SROA membership. For reservation information, call 541.585.3144 or 541.585.3145. Get in touch with your inner cowboy or cowgirl as you saddle up for a trail ride that will take you through Sunriver's Great Meadow, along the Deschutes River and into the backcountry of the Deschutes National Forest. Rides last anywhere from a half hour to 2 hours. For tot-sized cowpokes, there are pony rides that take place in the safety of one of the stable corrals. During the summer months, horse lovers will want to catch the "running of the horses" as they thunder across their pasture during the morning and afternoon wrangle. Runs generally occur daily around 7:30 am and 4:30 pm. LANDMARK: Since 1940, the iconic Tower has been the center of downtown Bend. Fully renovated in 2004, the Art Deco Moderne venue remains Central Oregon’s premier stage. 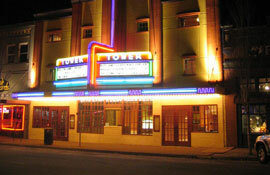 The nonprofit Tower Theatre Foundation believes the performing arts strengthen our community and improve our lifestyle. We’re committed to providing top-quality events and educational programs. Both South and North Twin Lakes were formed around 20,000 years ago as volcanic activity created two craters that later filled with water. South Twin Lake has an elevation of 4.334 ft, a surface area of 99 acres, and a maximum depth of approximately 58 feet (depending on current water level). There is no water inlet or outlet, so South Twin Lake is fed by underwater springs and precipitation. 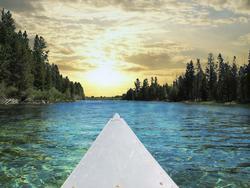 The lake is known for its quality rainbow trout fishing and it's family friendly beaches. South Twin Lake has been killed off a number of times to eradicate illegally introduced fish, most recently in 2011, and North Twin Lake was killed off in October of 2015 to rid the lake of illegally introduced brown bullhead catfish. The lake is rich with weedbeds and a wonderful spot for both first-time and experienced anglers. There is a trail around theSouth Twin lakeshore approximately 1.2 miles long, as well an offshoot trail that leads to North Twin Lake.